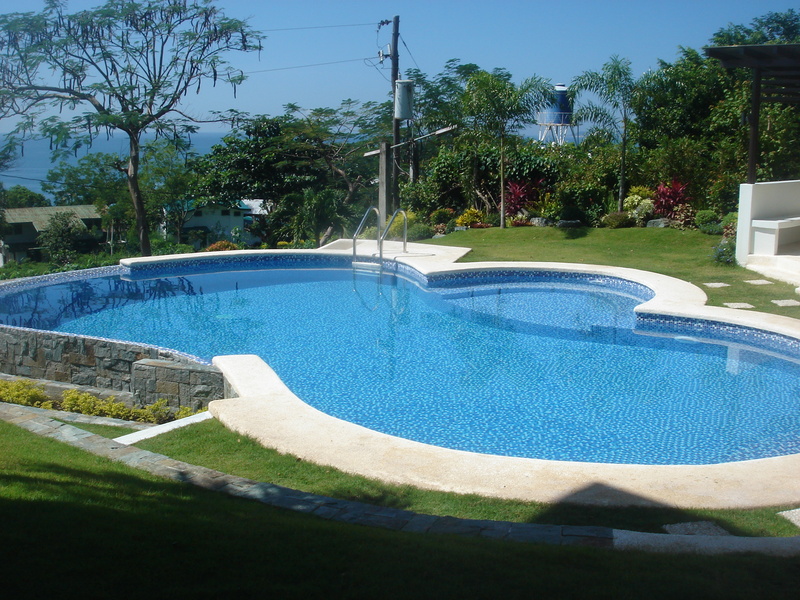 Maya Maya is located in the first class municipality of Nasugbu. It is a place I have been very fortunate and privileged to have spent a lot of time therein. Luckily I have a few friends that own holiday houses in the Nasugbu area. As a result, I have got to experience and explore many parts of the surrounding areas. Needless to say, I have developed a special affinity with the place. Maya Maya isn’t really geared up for traditional tourism with typical beachside resorts. It is renowned more like a weekend getaway spot from Metro Manila. Private apartments and houses are more typical of the area. However, there are a number of developments that have been tabled for the area as the place gains more popularity. There are a large number of expats and locals who have holiday houses down and around Maya Maya. This is mostly due to its relatively close proximity to Metro Manila. There are a few members only resorts in the Nasugbu region, most notably Club Punta Fuego, which consists of a yacht club, Terrazas De Punta Fuego and also the Maya Maya Yacht Club. Most will allow access if you are with a member. There is also nearby, and fairly exclusive, Tali Beach. This is a housing subdivision with multiple clean beaches to chill out with a few quiet beers and a picnic. Unless you know someone with a house there, there aren’t any accommodation options at Tali Beach. 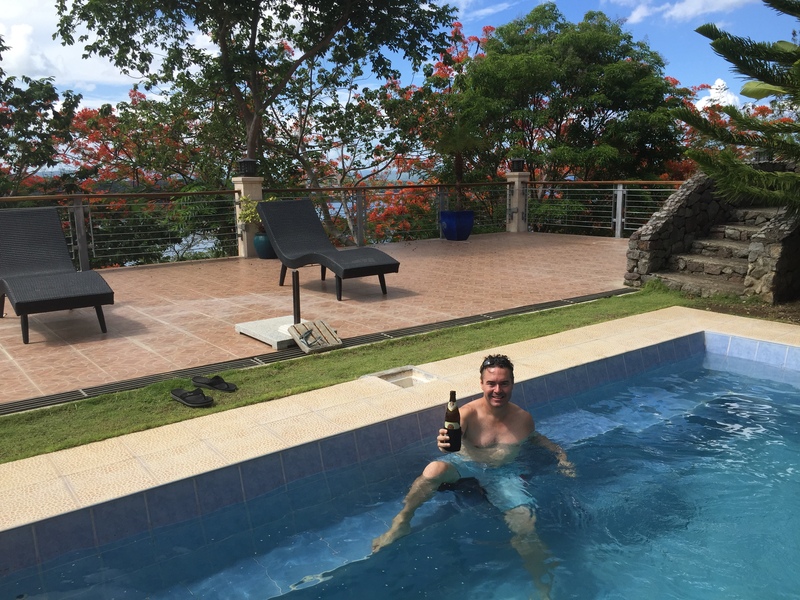 Alternatively, there are a number of local style resorts around Nasugbu Bay which aren’t as nice as Club Punta Fuego or Terrazas De Punta Fuego, but they are serviceable and more suitable for the budget conscious traveller. Being located on the western coast of Luzon, Maya Maya and Nasugbu Bay are mostly protected from bad weather. Nearby Mt. Batulao and the surrounding mountain range provide welcome all year round protection. 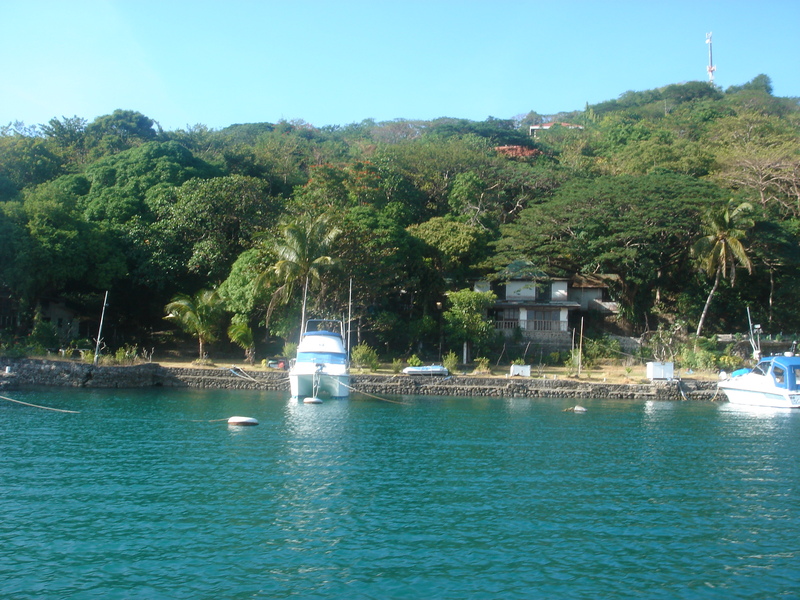 This makes Nasugbu Bay and the surrounding areas a very popular destination for boating and other water sports. The coastline is mostly rugged, but there is the odd white sandy beach that can be found at Terrazas De Punta Fuego, Tali Beach, Club Punta Fuego and my favourite, Calayo. You can also go further south down to Calatagan which by boat, can take a couple of hours. 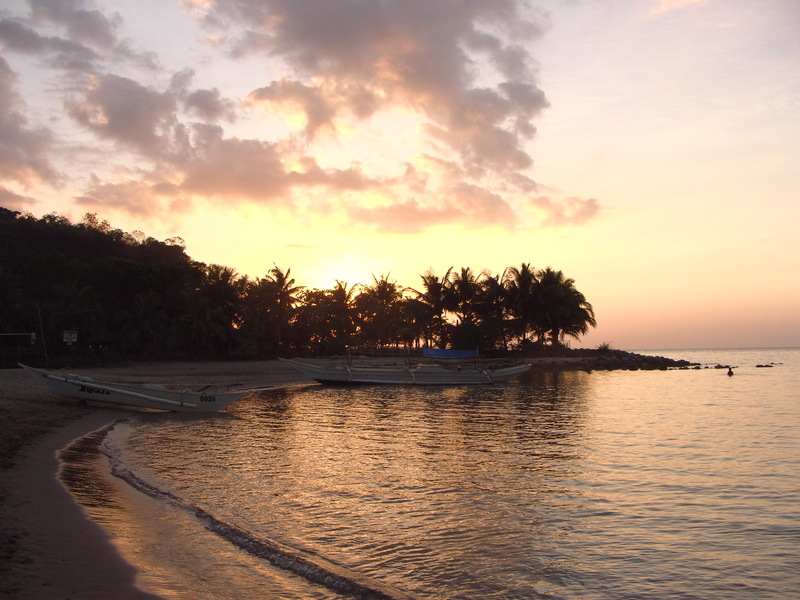 Twin Islands and Fortune Islands are also places of interest off the coast of Nasugbu. Both places are accessible within an hour. 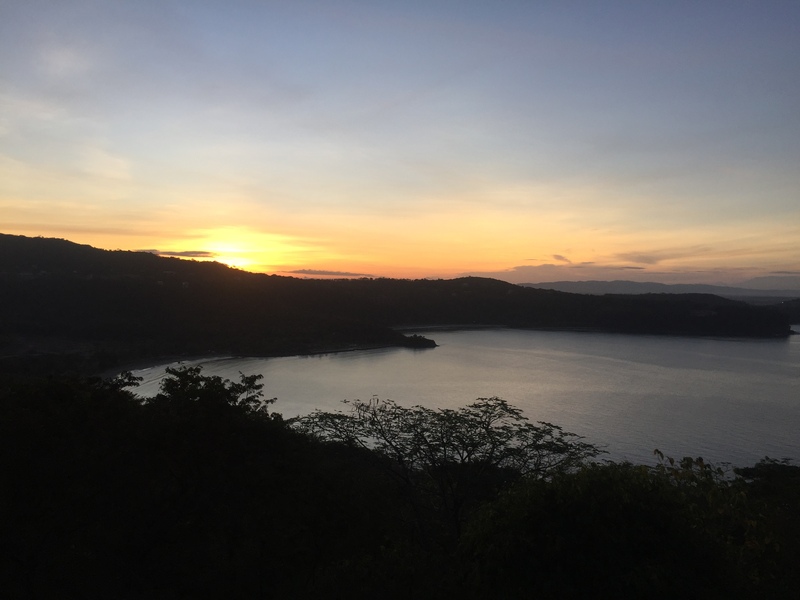 With Nasugbu facing west and overlooking the South China Sea, there are some epic sunsets to experience as you unwind with a beer or ten after a day of boating. As mentioned, I have a special affinity with Maya Maya and may sound biased, but this is a place that is a must visit due to its convenient location and its natural beauty. For more in-depth info and where to stay, please click here. You can also check out my Vlog which will give you a real good look and feel for the place. Where possible, it is a must to hire a boat and spend the day in the water. 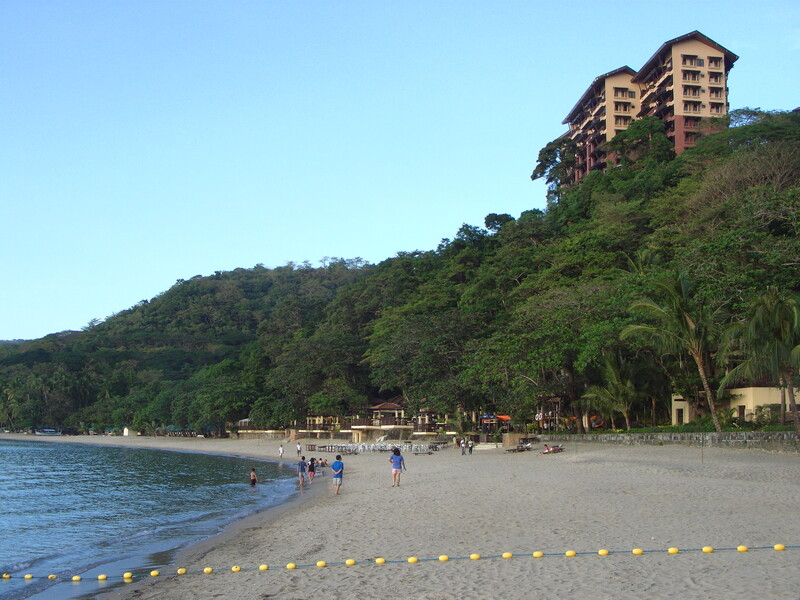 There are a number of fantastic coves from Nasugbu, all the way up to Pico De Loro or down to Calatagan. There are a number of boatsmen and fisherman willing to hire their boat for this purpose. Make sure you bring an ice box full of drinks and a nice picnic style lunch for a relaxing day in the water. Cost for hiring a boat and skipper for the day is about P2500, good for to 8-10 people. An EPIC sunrise view from the balcony of my mate’s holiday house – an absolutely sensational view across Nasugbu Bay. One of the best breakfast views you can get. The famous “Ramos Caves”, named as such as many believe the house above the cliff is that of former Philippine president Fidel Ramos. In fact, it is actually the house of his lawyer. The beachfront at Terrazas De Punta Fuego with the resort on the top of the cliff on the right of picture. 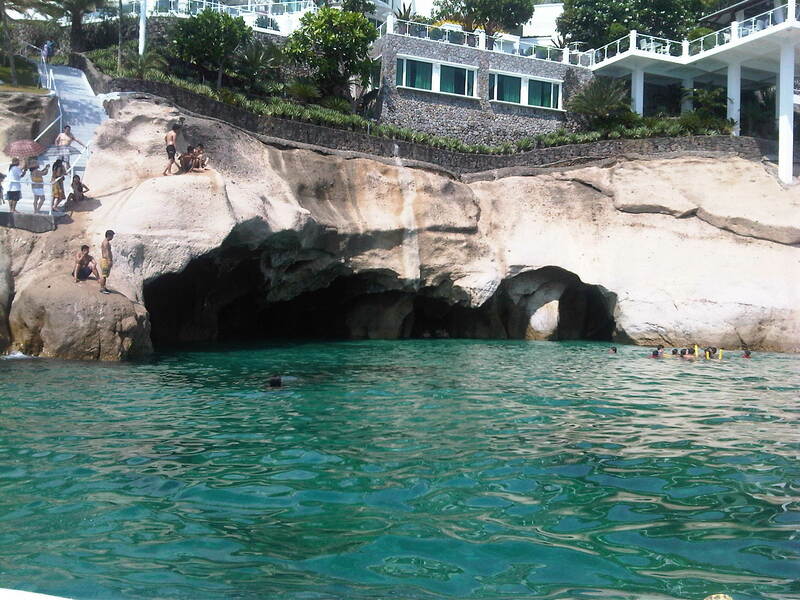 This is a private beach and is part of Club Punta Fuego so is not accessible without a membership. Next to the private beach is Munting Buhangin, which is accessible to the public. Sunset overlooking Nasugbu Bay from the beachfront at Terrazas De Punta Fuego. It doesn’t get much better than this, especially with an esky full of beer! Kawayan Cove is a fairly uncrowded area as half the beach is exclusive, as it is part of a housing estate development. The other half of the beach is open to the public however, you can only reach it via boat from the water. 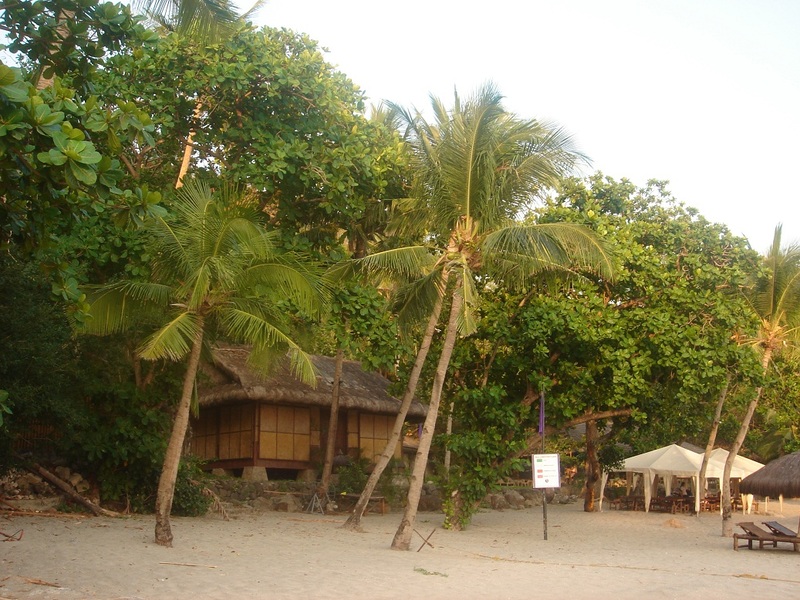 The Maya Maya Yacht Club (MMYC) is not as exclusive as the neighbouring Punta Fuego Yacht Club. It is in bad need of a major overhaul being nearly 40 years old. There has been a lot of interest from various developers to help MMYC reach its full potential. Relaxing in my mates pool with a beer and amazing views. We have had many a great time in the pool with family and friends, as we find it virtually impossible to get tired of this pool and the surrounds. The view from the swimming pool of one of my friend’s holiday houses in Maya Maya, with glorious views of Nasugbu Bay. This is a great place to unwind from the stresses of the Manila concrete jungle. Click below to and check out my vlog about this awesome weekend getaway close to Manila! Maya Maya is located about 100kms south of Makati and is approximately a 2.5 hour drive via the coastal road through Cavite, with the Ternate-Nasugbu Highway offering some great coastal scenery. Maya Maya can also be accessed via SLEX and via the Sta. Rosa exit through to Tagyatay. Once you reach Tagaytay-Calamba Rd, drive all the way through Tagaytay to Nasugbu until you hit the coast, then drive north up and follow the signs for Maya Maya Yacht Club. If you have time, you can stopover in Tagyatay for a coffee or lunch and take in the views of Taal Volcano. However, this route can take over half an hour more. Several bus services are available from Manila, but from Buendia JAM Bus Terminal in Pasay, take a bus bound for Nasugbu. This will drop you of in Nasugbu Town Proper. Cost one way should be less than P200. From there, if going to Maya Maya, it’s about 10kms and you will need to take a jeepney which will take about 30 mins and cost less P50. With the water generally very calm, particularly from February to May, it is well worth hiring a boat to explore the coastline, beaches, coves and caves around the Maya Maya area. Being only 100kms from Makati, it’s fairly easy to leave Manila on a Friday night, and then return to Manila Sunday night, giving you two full days to enjoy this hidden gem.